Since the advent of the smartphone era mobile phone cameras have increased in quality, megapixels, DOF capabilities, and now you even get two cameras for the price of one as some of the top range smartphones have a wide angle and a zoom camera that you can switch between. In a time when all we do is in a rush, your smartphone has become a gateway to the world and a great tool to cash in on your hobbies, and here are 5 reasons why. We know you even go to the toilet with your smartphone so there really is no excuse, pull it out of your pocket and snap away. Instead of playing that candy game be mindful of your surroundings, there’s that gnarled tree you pass each day on your way to work that you’ve not noticed so far because you were too busy checking your email or Facebook page, but now that you’ve seen it you can think of angles and light and what would make it look awesome. If you happen to pass an event you simply pull it out and take that Pulizer Award winning image. The smartphone cameras are designed to help you .. a lot, and I do mean a lot. The exposure compensation they employ make it quite impossible to shoot a bad image, even in full sunshine with harsh shades, the nightmare of all photographers worldwide. Just test it, you’ll see how effective they are in capturing details. Slow-motion, videos, panoramas, you name it, your smartphone has it. Some apps will even provide with long exposure capabilities and even multiple exposures. Unlike the days of old, when over-filtering was frowned upon, now filtering is used everywhere, from ad campaigns to Instagram influencers to glossy magazines, so don’t be afraid to experiment, just remember that there is a thin line between cool and garish. While a full-size DSLR camera with any lens on it will draw a lot of attention not many will turn when you pull out a smartphone which will certainly give you an advantage when you wish to capture the mood. 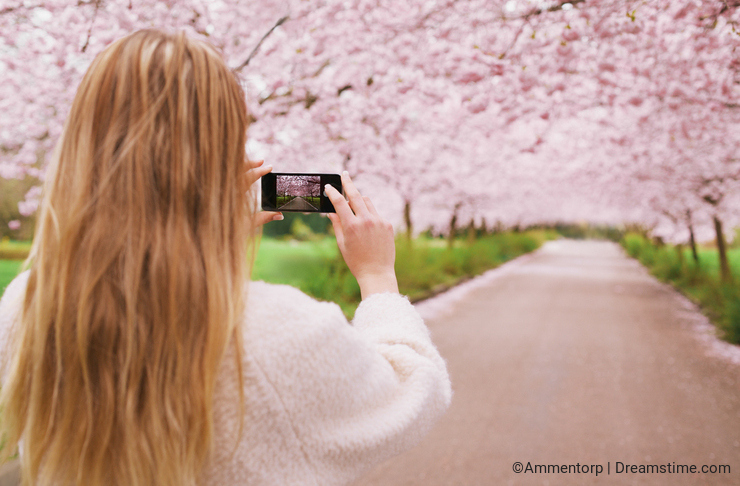 With the Dreamstime Companion for Android or iOS, you can upload your images directly from the app without having to go through your computer. All you need to do is download and install the app, log in with your Dreamstime credentials and start using it. Stay tuned for my next blog, 5 Tips on Mobile Photography. We always work to improve the app and a new version is about to come out soon. This will probably fix the current issues for you as well. I used to be able to upload photos to the Dreamstime companion app and it was fast and easy. Since I got the new iPhone 8 Plus it does not work anymore. I have sent several emails and comments to Dreamstime but have not heard back. Is anyone else having this problem with the new iPhones? And, is Dreamstime working on their app to fix this? Fastdrive55, I actually started photography on old school film cameras and worked quite extensively on DSLR. This is not about that. It's about everyday shots that you will not get on DSLR. I cannot disagree more. Obviously the author of this blog has been rarely using any DSLR. And the argument, it is intrusive is far fetched - in the age of tele-lenses. You have to come really close with your mobile phone for the same photo frame. "you cant get a full resolution pics ..."
I use both a DSLR and my mobile phone camera and as with any camera gear, I use the best equipment option for capturing the image I want if I have both with me. The clearest advantage the phone camera has over my DSLR is that it is with me all the time. Yes, we have been accepting mobile images for more than 2 years now. Lostintimeline and Rzachariasse, a blog on how to best use your phone's camera is coming this week. Stick around to read it and it will answer some of your questions. This is new information for me about Dreamstime accept photos taken by smartphones. So the quality is enough? I was actually wondering this today. I use my iPhone, but sometimes the resolution is too low. So what kind of phone would be best?